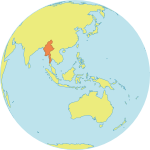 KACHIN STATE, Myanmar – Since the armed conflict in northern Myanmar’s Kachin State intensified in December, nearly 7,000 people have fled the area, often amid shelling and airstrikes. Among the people on the run are 260 pregnant women. Many of them are sleeping on the roadside, unable to find shelter. Their needs are acute. The area is highly militarized, and ongoing fighting and unsafe routes restrict access to the people in need. Through work with local humanitarian partner Health Poverty Action, UNFPA has delivered reproductive health care, clean delivery kits and dignity kits – which contain essential hygiene supplies including soap, sanitary napkins and clothing – through the lines of fire to pregnant, breastfeeding and vulnerable women. Women are under threat of violence, including sexual violence, both in daytime and at night. High-risk situations include having to manage sanitation and menstrual hygiene without shelter, privacy or protection. While many people on the run remain unaccounted for, some have arrived at camps away from the fighting. There they are staying in halls without partitions and sleeping on concrete floors. Many of the thousands of people who have fled were already living in camps, which they had to evacuate as the fighting approached. The conditions of extreme stress combined with lack of privacy mean that women and girls’ vulnerability to violence has escalated. 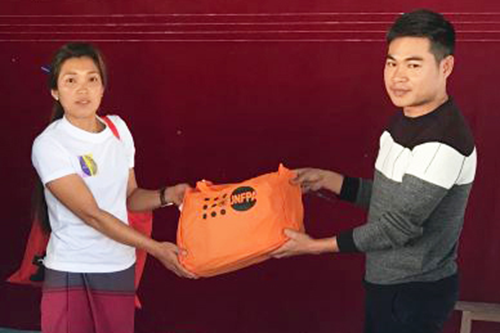 “Women and girls fear assault each time they have to go into the forest to relieve themselves, each time they go to sleep without a door to lock behind them,” says UNFPA field officer Kyaw Wai Aung, who delivered dignity kits to displaced women in Sadung Township. With the help of Kachin Baptist Convention, UNFPA has also distributed solar lanterns to women and girls to improve their safety at night. And together with Metta Development Foundation, UNFPA is providing psychosocial support to the displaced people in both government-controlled and non-government-controlled areas in the conflict zone. 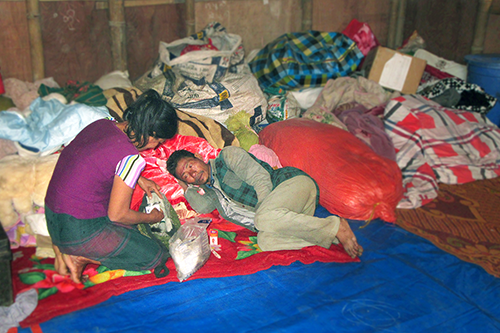 Hpauyam Kaw Mai, 44, fled the embattled Maga Yang camp to find shelter at the Hpumlum Yang camp. She was among the last to leave because she was not able to move her three children – ages four, six and seven – or her disabled husband. When two-thirds of the camp population were gone, Kaw Mai was told to get ready to leave. She packed the family’s bags, and also the roofing and other parts of her shelter. They had to spend two nights sleeping out in the cold before they could be evacuated. 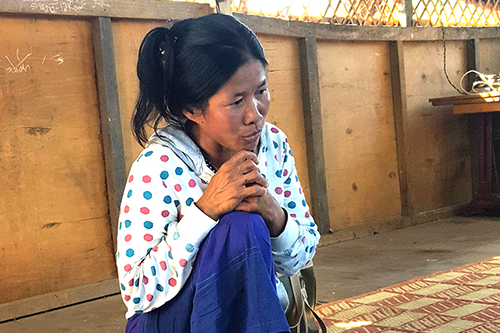 In a temporary shelter at Hpumlum Yang camp, Kaw Mai is ill and struggling to care for her family. She is now receiving UNFPA-supported psychosocial care.